Our little preschooler has become such an expert in matters, that she loves to ask questions to test our facts. “What has a big long gray trunk, a tail, and three legs?” she asked the other night. My husband, mother-in-law, and I glanced at each other puzzled. “Three legs?” we asked her. “Yes, three legs,” she repeated with certainty. She had, in fact, stumped us. She sighed and lifted one arm to her nose. “It has a trunk like this,” she said very slowly. “And three legs, like this.” She stomped on the floor. There was a moment of silence. “An elephant?” my husband answered tentatively. “But an elephant has four legs,” we explained to her. 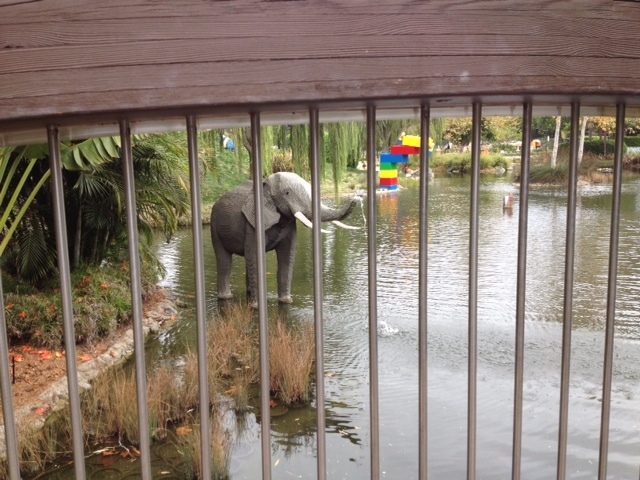 The next morning, on a trip to LEGOLAND, lo and behold, I spotted a blocky replica of just the animal in question. “Look! Go and count that elephant’s legs right now!” I told my daughter. This would settle it once and for all. We all took a look. She had a very valid point. 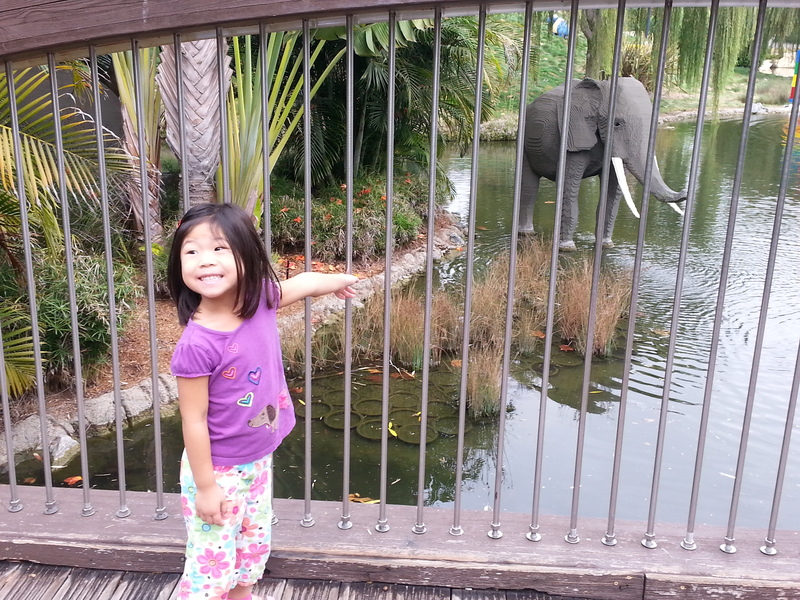 My mother-in-law (“Poa Poa” in Chinese) helped her insistent granddaughter look carefully around the large gray animal and count all of its legs. Little minds ask big questions sometimes, don’t they? Perspective is such a powerful thing. I know for me, I can so easily draw quick conclusions about my life, my circumstances, the people in it. I can so easily cling to discouragement and frustration before I understand the whole story. I often need help to stop, to see around, to remember there is a bigger picture that I simply flat-out miss. How many times do I struggle to trust the One whose words promise to stand true, through rain, wind, and storm? I did learn something from our little “expert” after all. You don’t have to be a preschooler to have a few three-legged animals in your life too. Might you have any three-legged animals in your life that beg for a second look? And so much truth is revealed here about the need to be willing, like a child, to allow God to help us see things from His perspective. Thank you, Heather! Yes, that is what I was trying to say here … and you summed it up perfectly. We so often need help to see our lives, the trials and struggles especially, from His perspective. Yes children are so free to express what they think, and so often it is a little glimpse of our own humanity. My daughter was indeed convinced about the three legs, but thankfully she was able to easily accept the truth! 🙂 Thank you for your great comment! The innocence of a child is so disarming isn’t it? I loved your daughter’s conviction when she thought she was right and her ability to accept when she wasn’t.